Hewwo, hewwo! How are you, today? 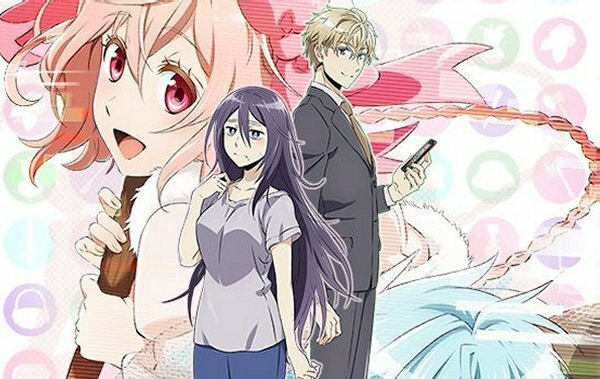 I’m going to review Recovery of an MMO Junkie/ Net-juu no susume. First of all, let’s give you a brief summary of this amazing show. Here is the summary from Wiki: Moriko Morioka is a 30-year-old successful career woman who decides to quit her taxing corporate job. She becomes an elite NEET and finds a more fulfilling life. She joins an online MMORPG Fruits de Mer. After this creates a male character named Hayashi as her avatar. Hayashi meets another character Lilly, a high-level player who helps him learn the game. Hayashi and Lilly become close friends and Hayashi joins Lilly’s guild, @HomeParty. Meanwhile, in the real world, Moriko has a chance encounter with a good-looking elite company employe., Yuta Sakurai, who may have ties to her online life. Okii, let’s move on to my opinions. 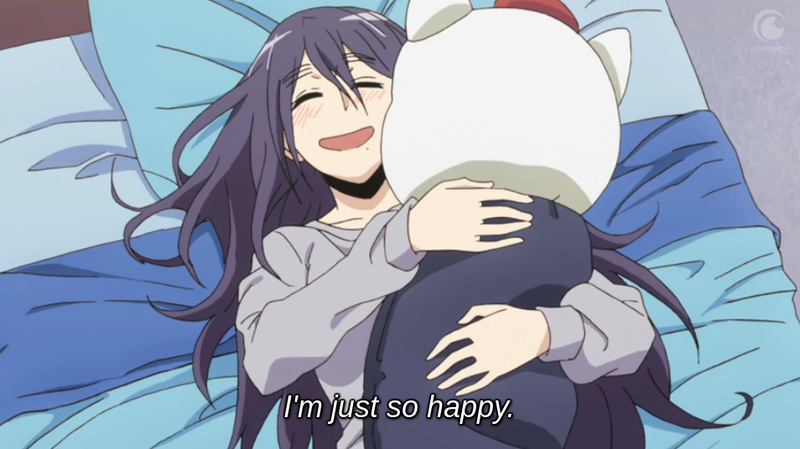 I love Recovery of an MMO Junkie/Net-juu no susume. It is definitely not an anime for everyone because it isn’t crazy or such. Here are the genres: slice of life, comedy, and romance. So, if you like your dark fantasy, horror, and thrillers… This anime is not for you. Obviously, a part of this anime is based on MMOs. Multiplayer online game, not some crazy drug but you don’t need to know much about or like games to enjoy this anime. This anime has subtle romance, unfortunately. You can see their relationship building up every episode, which just adds to how amazing this anime is. The anime is easy to watch as it has a simple plot. It doesn’t make it any less enjoyable. The main character -Morioka- is relatable. Due to the fact that she spends most of her time online, playing games and socializing online. She only goes outside for necessities and is awkward and anti-social. Sakurai is not an expert in relationships and like Mori, an awkward human. The characters don’t get together but silently love each other and sorry for any disappointments, but they don’t kiss or do some crazy stuff. 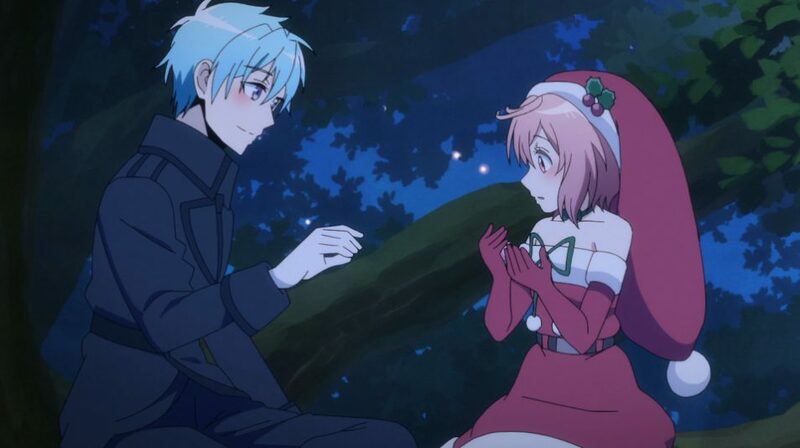 True, the anime includes some unbelievable coincidences (therefore it’s amusing) such as Mori and Sakura playing together in the MMO and suddenly meeting in real life. It’s hard to find an anime about a 30-year-old NEET, I usually forget Mori is 30 until it’s mentioned in the anime, it seems like she’s younger sometimes. I’ve watched the OVA recently, (came out on Friday) and I was impressed. Usually, OVAs come out a couple months afterward but we didn’t have to wait, which was good. The OVA was split into two parts, Morioka building her computer with Sakurai and a dream of her living in Fruits de Mer. In this part of the OVA, she is set on a quest to rescue Princess Sakura from the Demon King (Koiwai.) Koiwai is Sakurai’s outgoing, relaxed friend and I must admit I disliked Koiwai until recent episodes. It’s no doubt the best in it’s field of online relationship anime and it does it justice even if theres nothing to compare it to. It’s a brilliant concept that is done quite well. Now just for them to keep going strong. THIS. IS. THE. MOST. RELATABLE. ANIME. I hope you and your friends enjoy it. No manga reader me so. Don’t really like these but I’m definitely gonna give it a go since it’s based on MMOs! Wait. A female user playing with a male character? Oh man this seems really fun to watch. Gonna give a try to it soon.